Eleanor Courtown pulled me in and made me glad I signed up to be on this book tour! It’s been a while since I’ve read something that I’d consider a girly historical fiction book, and this definitely satisfied my want for something in that genre. The story is set in the 1870s. Our main character, Eleanor, sets out across the sea from her small estate in Ireland to Canada in order to rescue her beloved cousin, Lily. Lily’s new husband has died during their own journey across the sea, and Eleanor believes her to be stuck in Canada, grief-stricken and alone. So, she sets out to rescue her. When she reaches Canada and locates Lily, however, she’s very surprised to find her in the state that she’s in: remarried. Lily’s situation ends up being rather dangerous, and Eleanor gets pulled in as she tries to help her dear cousin. In addition to this story thread, we also follow Eleanor as she tries to become used to the way things are in a smaller city in Canada. It’s not at all like she’s used to in Ireland, and she finds a lot of things quite improper and off. Lucy E.M. Black’s writing style took me a couple chapters to get used to, since she writes in the style that Eleanor would be writing/speaking in. I was put off at first, but then started to enjoy it when I got used to it. I got really sucked into the story and ended up reading most of the book in one weekend! The main story is definitely compelling, plus Eleanor’s own relationships and difficulties with society. I even smirked on occasion when she committed a faux pas or couldn’t understand why things were happening in the way that they were. Overall, I have to say I’m a fan of Black’s skills as a historical fiction writer. The story was compelling, the writing style felt true to the period and added to the overall feel of the story, and it wasn’t a typical girly love story. It was pretty much just what I was hoping for. I give it 4 stars! Eleanor Courtown is the story of a young woman of privilege. When her cousin marries and sails for Canada in the 1870s, Eleanor determines to follow. Having left home in secret, she soon has reason to regret her decision. Friendless in a strange new country, both women fall victim to a brutality that threatens to destroy them. This is a work of historical fiction based on events of the period. Written with a masterful command of the voices it inhabits, the novel’s endearing characters come alive in a nineteenth century setting. The journey of its protagonist highlights the importance of those immigrants, of every class, who came to North America and who have played essential roles in the establishment of a developing social fabric. Lucy E.M. Black studied creative writing at the undergraduate level and later earned an M.A. in nineteenth-century British fiction. 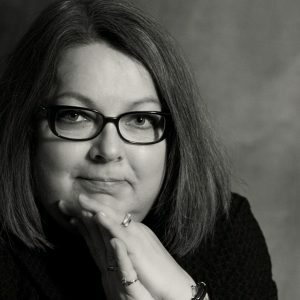 She has also studied at the Sage Hill School of Writing, the Humber College School of Writing, and the University of Toronto Creative Writing Programme. A Hawk in Winter won third prize in the 2014 International Rubery Short Story Competition. Her short stories have been published in Cyphers Magazine, Fast Forward Fiction, Gargoyle Magazine, under the gum tree, the Hawai’i Review, Forge, Temenos Fiction, Romance Magazine, Vintage Script, and The Antigonish Review. The Marzipan Fruit Basket, a debut collection of her short fiction, was released by Inanna Publications in June 2017. 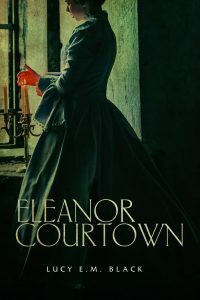 Her first novel, Eleanor Courtown, was published by Seraphim Editions, October 2017. She lives with her husband in a small town near Toronto. Find out more about Lucy at her website, and connect with her on Facebook. We're a group of ladies with diverse interests who love books, bookish things, and living life bookishly. Sign up for our newsletter, The LQ Reader! We're a new bookish blog out of Minneapolis, MN. Thanks for stopping by!